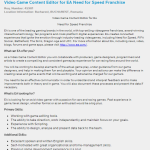 As usual, my advice is specific to design and to seeking a more traditional job in AAA development, as opposed to breaking in as an indie, but most of it can be applied elsewhere. And as always, this is just my personal advice! There is a myth that there is no such thing as an entry-level position in design. It really is a myth, and a hard one – it seems – to dispel. 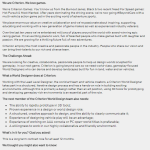 I run into this idea from aspiring designers and industry people alike and it always kind of stumps me. Back in the day (not really that long ago), I was a student , and I got an entry-level job on graduation. A bunch of other students with me did too. And I’ve since worked with a bunch of people that went straight from being students to entering design (and a few who skipped the student route and came in from various paths). 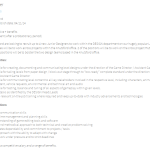 What Kind of Design Job is Entry Level? 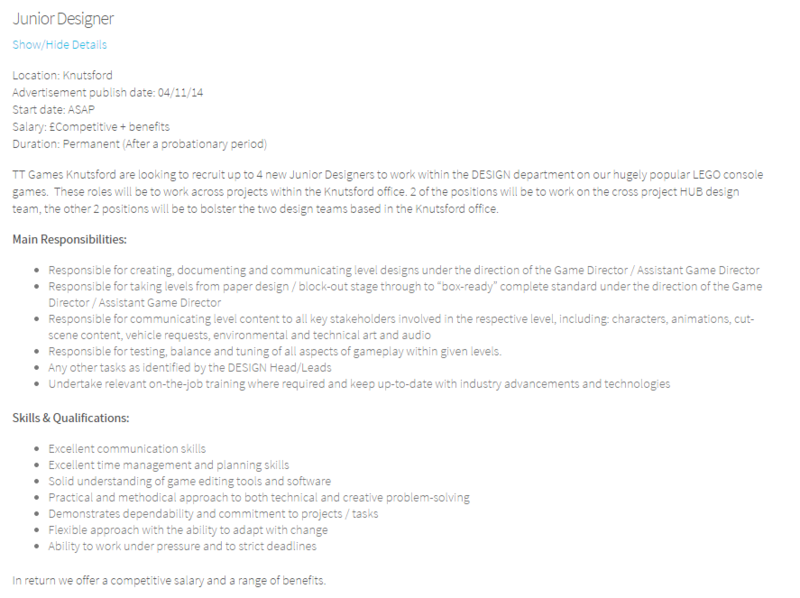 First I want to clear up what kinds of design jobs are entry level, and what type of design jobs are not. This seems to be where a lot of confusion comes from when asking for advice or looking for jobs. This is a general rule of thumb, not some kind of law. When some people talk about “game designers”, they are talking about designers who are focused on the rules, mechanics, and systems in a game. 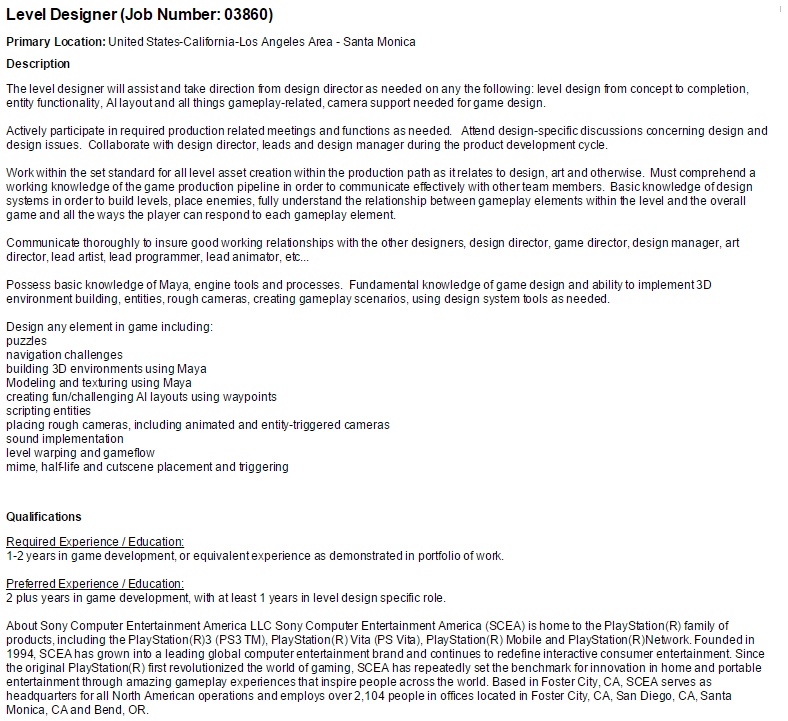 At smaller companies, this might essentially be the lead designer or creative director. On small mobile projects they may be the only designer on the game. This demands a lot of prior experience, practice, and expertise. 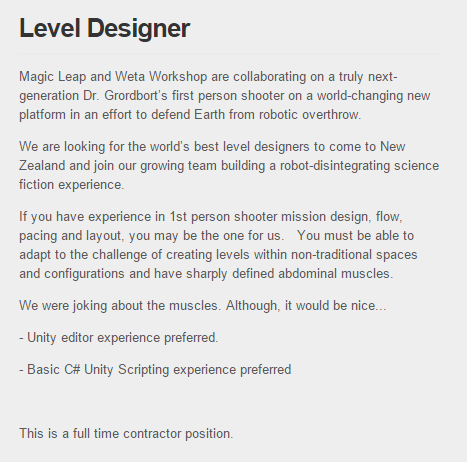 These are not (normally) entry-level positions. So if you hear someone say that “design is not an entry level job” they are usually referring to systems and lead roles. 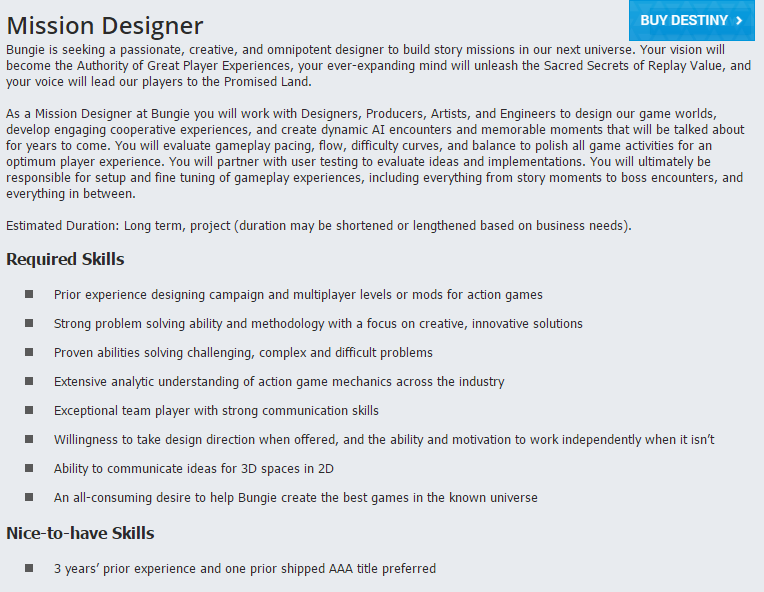 When others talk about “game designers” they are referring to everyone in the design department. The other type of design opposite systems – if I were to split them up – would be the creation and implementation of content. Some common examples are levels, quests, missions, and puzzles. Content designers may not be involved in the overarching rules and mechanics, but rather use those mechanics as a palette to create the game. 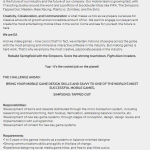 Not all games have lots of content that can be designed, especially procedurally generated environments or gameplay focused on systems (think roguelikes or match-three games). But most AAA games have a HUGE amount of content and an appropriately sized design team to handle that responsibility. 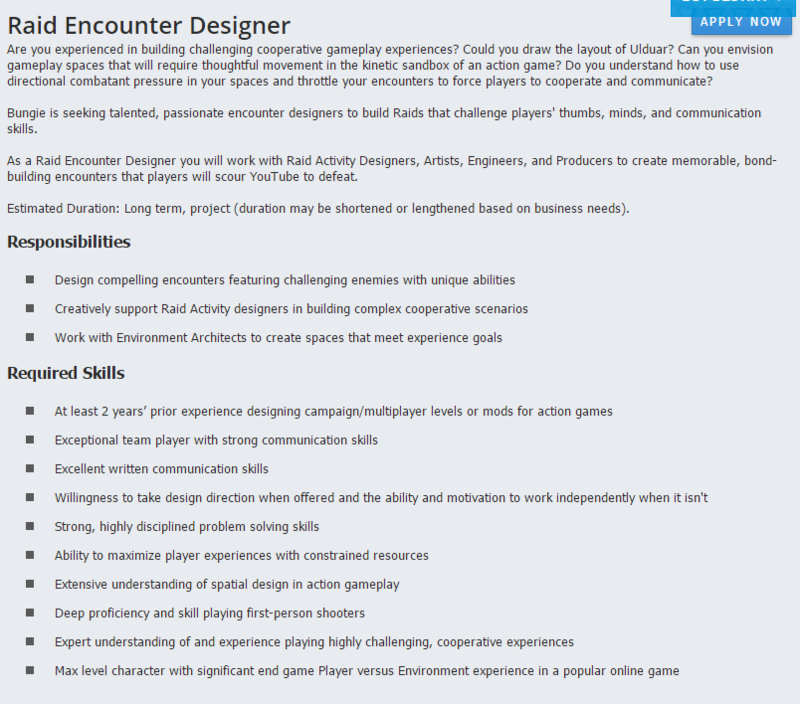 So if you hear someone say that “design is an entry level job” they are usually referring to content designers. Now, that is not to say that systems are better than content. At many companies, content designers also own systems, and content is obviously EXTREMELY important. It just so happens that it’s easier to split off content and implementation-focused roles into entry level positions than it is for systems. If you are a aspiring designer who does not have prior (paid) industry experience in design, I suggest preparing yourself for a content designer position. This is why I recommend students focus their free time or coursework on creating games and levels in various AAA toolsets: it’s all about implementation. 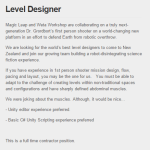 So I want to debunk the, “There are no entry-level design jobs!” refrain right now. 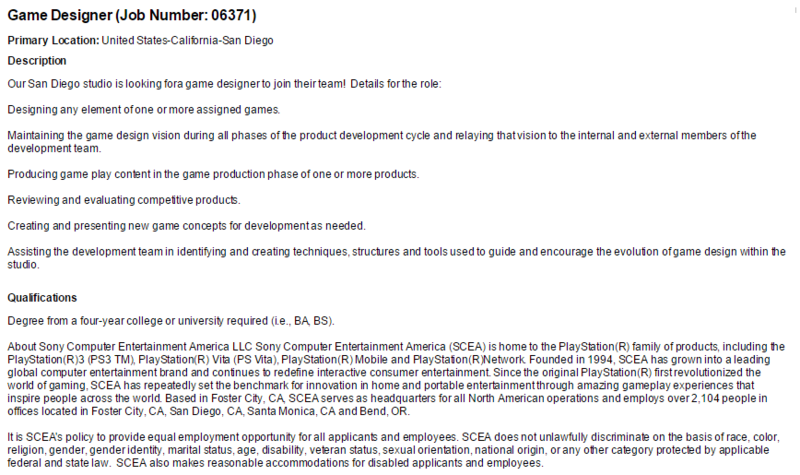 To do so, I went around and collected a bunch of entry-level design positions currently available. 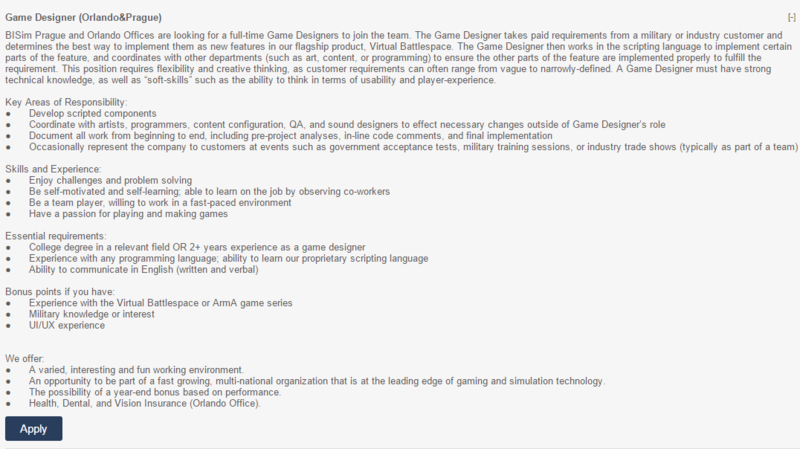 Since these jobs may be taken down by the time anyone reads this, I’ve taken screenshots of them. Please note: I am not advocating or endorsing any of these jobs. This is about giving you an idea of what an entry level job position reads like (so you can recognize them when you see them), and what kinds of work or qualification they expect from you. This is for illustrative purposes. It’s by no means an exhaustive collection – I only spent about an hour grabbing them. So I like data, and I realized after I collected the above job postings that I now have a whole lot of information about what different companies expect from junior designers! 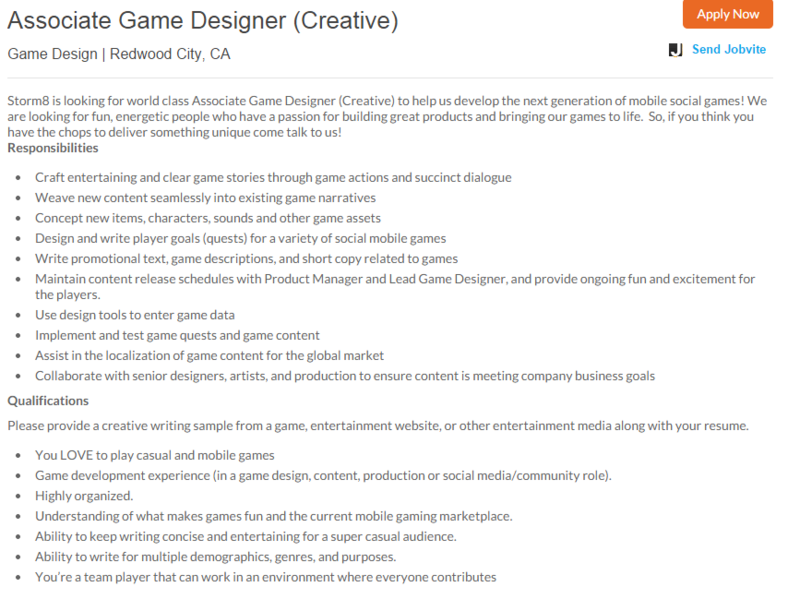 Luckily, there’s a lot of crossover in the content between all these jobs. 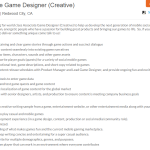 These are all mostly soft skills, and the only ones I think you can show off in a portfolio are documentation (this includes 2D level designs) and evidence of working with a team to create a game. 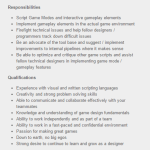 I do want to reiterate: these are by far the most common requests on job postings, so if anyone thinks that game development is an antisocial activity then they are dead wrong. Those are the most common ones. I don’t feel so bad now for my portfolio advice being so heavily biased in favor of implementing levels and gameplay in a 3D engine. Degrees are usually preferred, not required, if they are listed at all. They often aren’t listed on the job posting at all. 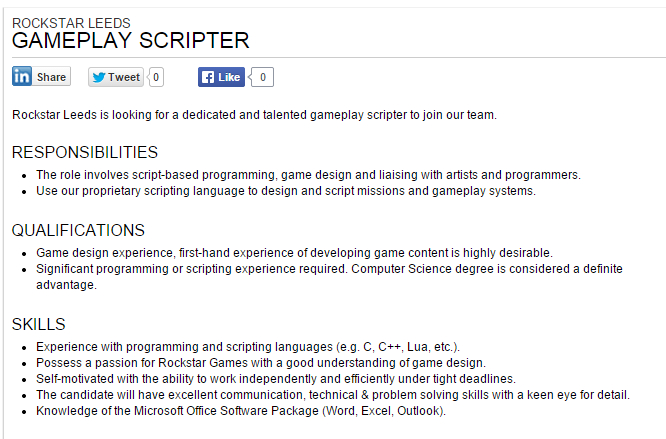 Programming experience is very desirable, and a good portion of entry-level design jobs involve scripting. Several entry-level jobs involve acting as support for more senior designers, who will rely on you to implement and iterate on their designs. 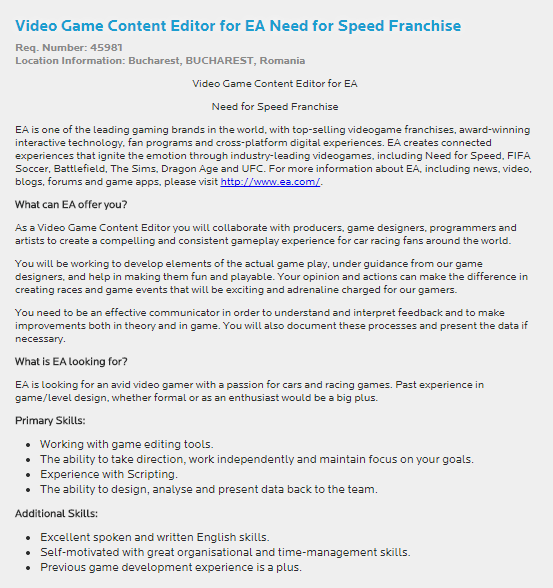 Many list a specific genre, game series, or gameplay mechanic that they wish applicants to be familiar with. This makes sense where, if you make FPS games, you would want a new member of the team already up to speed on FPS mechanics. At least one asks for evidence of major gamer cred (high level MMO character!) but I have seen similar requests in other places. This is unusual, but not unheard of. Design skills are usually vaguely defined (“understanding of fun”) or as a long list (pacing, flow, systems, mechanics, etc.). 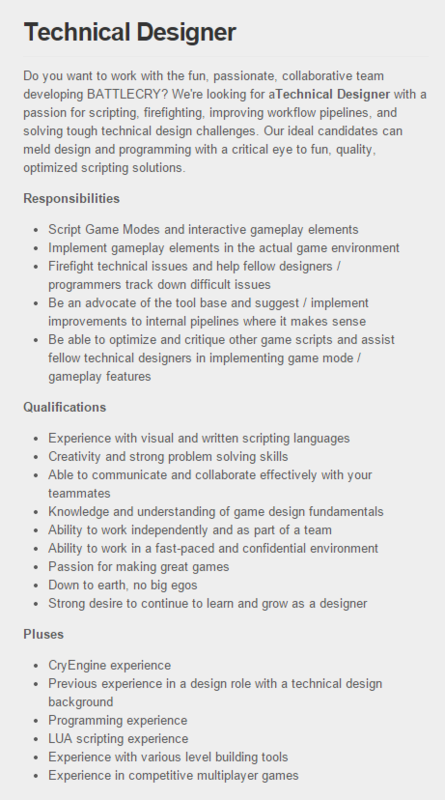 The point here is that if you are applying to a design position, it’s just understood that you should be knowledgeable about all the elements of game design. 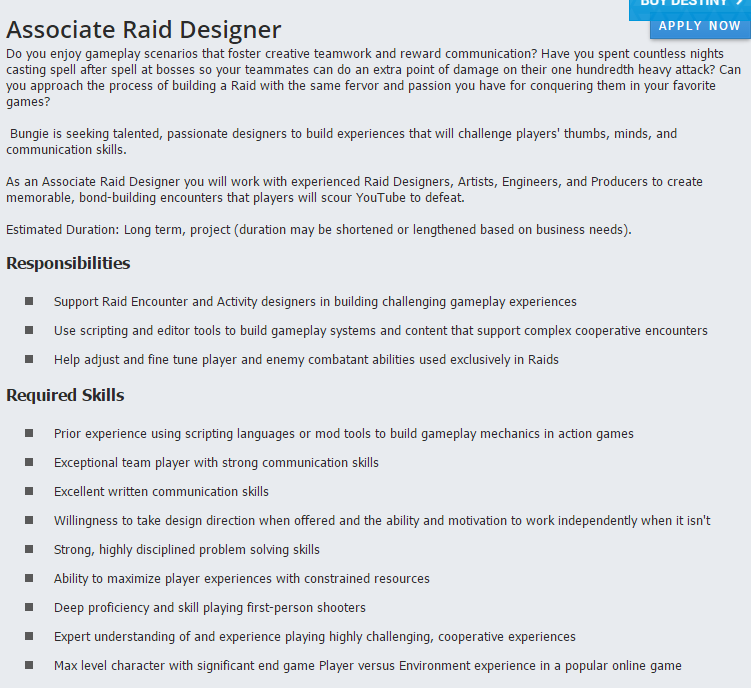 There really is a pretty big range of jobs, once you get passed general design skills, from mobile jobs with more business-related skills, to level or combat encounter design big AAA studios, to scripting-focused jobs that lean on programming knowledge. The last thing I want to cover is “prior experience” since this is a sticking point for a lot of aspiring designers that I talk to. 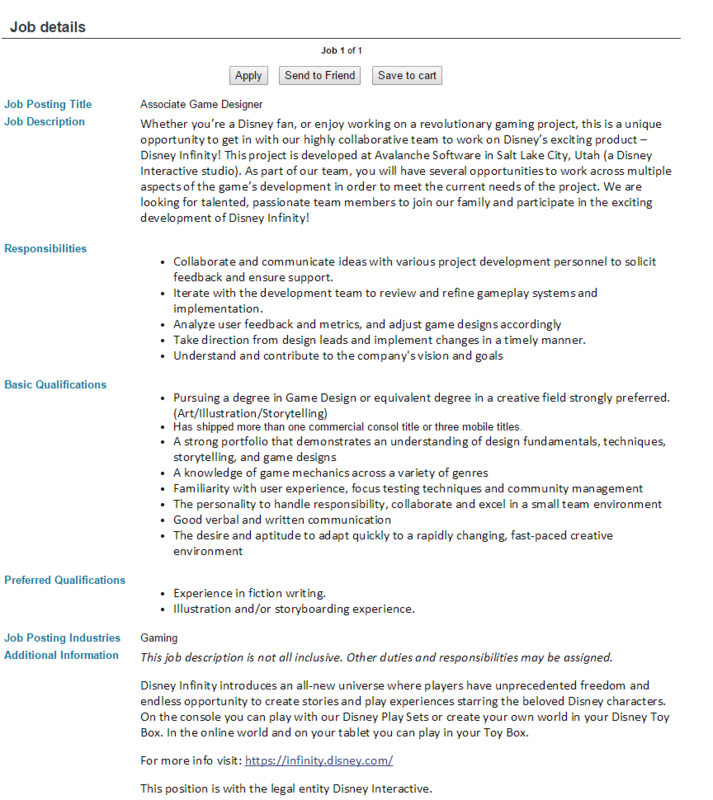 I get the feeling a lot of people opt out of applying to jobs if they ask for prior game development experience, without realizing that this totally includes side projects and other portfolio work. 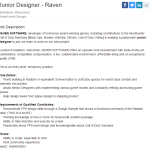 Prior game development experience, if it doesn’t reference a shipped game, means that experience you earn on your own (school, modding, side projects) still counts. This is something a lot of people get caught up on. 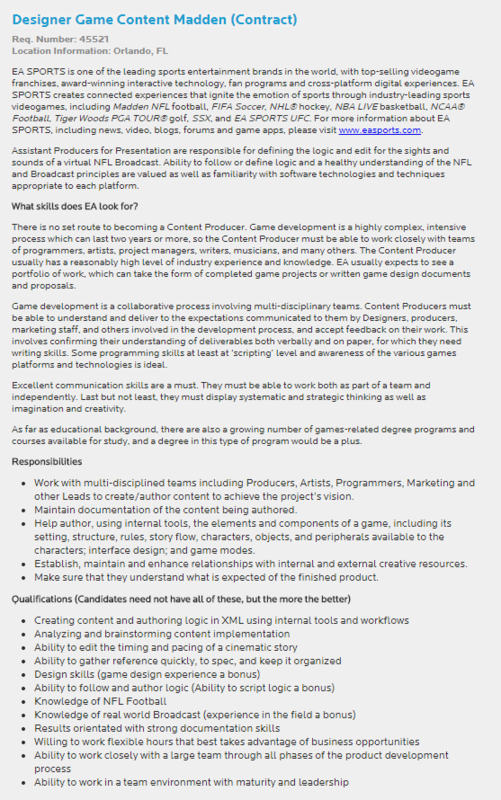 If a job posting asks for 1-2 years of experience in the industry, I personally tend to read these as entry-level. 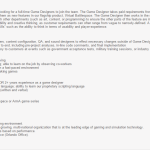 I encourage students to apply to them anyway, assuming you fit the other criteria, and instead read “in the industry” as “modding or large game projects”. Once you get a bit further, into 3-5 years, the jobs tend to be looking for people who are more traditionally experienced at companies. 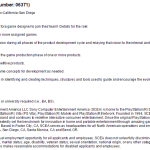 If a job specifically asks for a shipped game, they generally mean traditionally shipped (such as a console or mobile title) and as part of a paid position at a company (not a side project, or game you made by yourself). Remember how common communication and teamwork skills were? There’s a huge difference between working alone on a game and working as part of a team. As always, there are all kinds of exceptions to what I’ve written above but, mostly, I’m hoping that some people feel a bit more comfortably finding and applying to entry level jobs, and if they don’t at least realize what skills they need to work on to break in. Please note that my examples I included and pulled from aren’t a real sample size – just what I could find in a short time period. There are lots of other entry-level jobs out there, and many of them have their own needs and idiosyncrasies. I’m going to start off this article being honest – I actually don’t see many cover letters, and there’s really nothing that qualifies me to give advice on them. I think I write them well and often review them for my friends and the occasional student, so I am going to write about them anyway. I’m sure there are other articles out there that will contradict me, so, like always, try to use your best judgment! A cover letter is the first thing most companies read, before they even look at the resume. 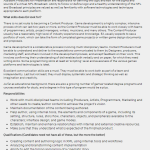 It should be written specifically for that studio and the position you’re applying to – you really can’t get away with using the same cover letter at multiple places. Cover letters should be about communicating important and necessary information, not for showcasing your wacky humor and unique personality. You can show off your personality in your portfolio, your projects, or even in interviews, but I would keep it out of your cover letter. 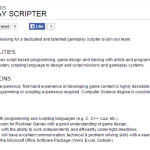 Of course, some people get away with wackier takes, like Tim Schafer’s infamous cover letter. But you are probably not Tim Schafer. Creative cover letters are more likely to turn people off because tone and humor are hard to pull off, especially with strangers.. Your cover letter is 350 words or less. The reason I put this first is that the biggest mistake I see in cover letters is that they are too long. So, so long. 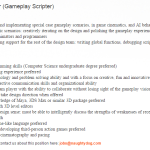 A cover letter is not the story of your life, it’s not you justifying why you deserve the position, or how much you like games, or why this is your favorite studio working on your favorite games. Put that stuff in an “about me” section of your website or on your Linkedin profile or a blog post. I would not put it in your cover letter. To repeat: your cover letter is 350 words or less. Don’t forget the “or less” part. 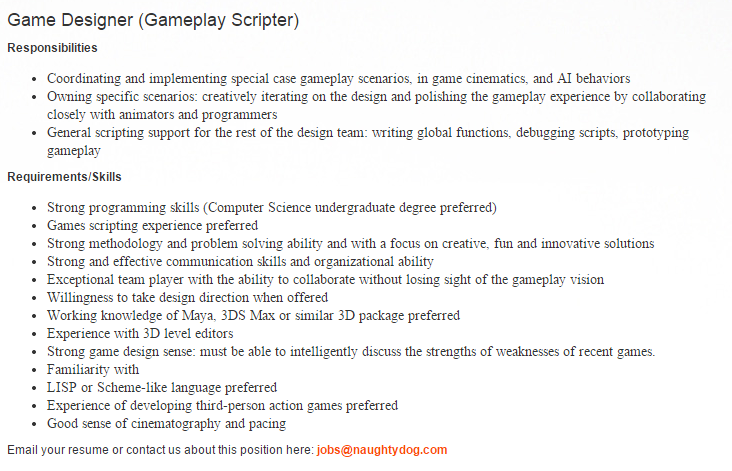 If your cover letter is longer than that, then start cutting. 350 words seems like an arbitrary number, but really it’s slightly longer than a traditional print page (250 words) so I am giving you guys some leeway. Obviously, if you are over this word count that doesn’t mean you’ve made a grave error – just that perhaps you need an editor. If you are seriously over this number than I think you should stop and re-read this article before committing to such a grave sin. Everything you put in your cover letter should have a purpose. Every sentence should be delivering new and relevant information to a potential employer. Everything else can be cut. Now that this is out of the way, I can get to the bulk of my advice. There are a few key things I think you should have in your cover letter. That is, incidentally, the formula I use and recommend for people when writing a cover letter. I make each of these a separate section. I am applying for [position] at [studio]. 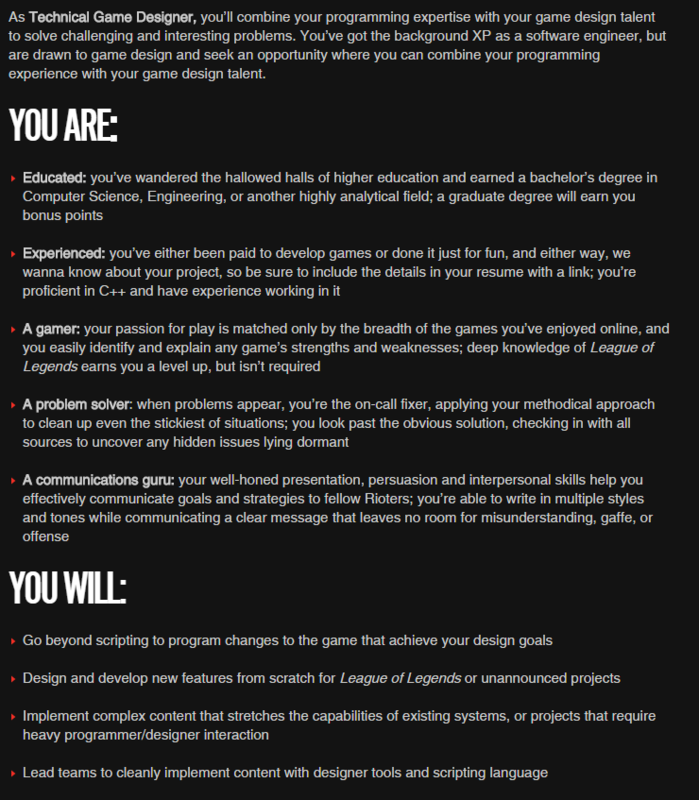 My relevant experience is [degree] and [shipped games]. I also have experience with [tool/engine] and have [relevant skill]. 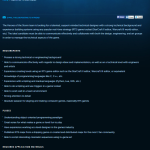 Your studio excels in [field/type of game]. 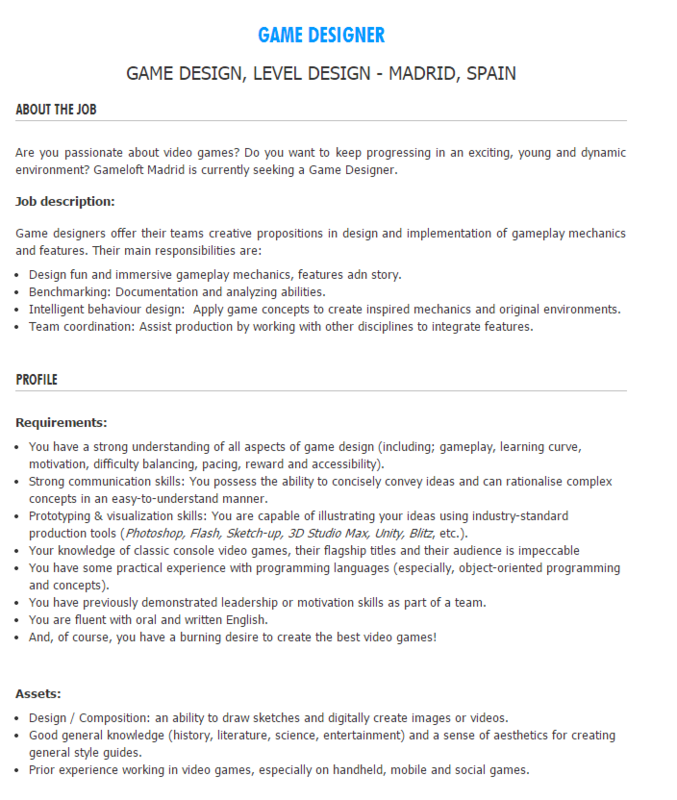 I can bring value to your studio because I also have experience in [field/type of game], as you can see in [games/projects] in which I used [relevant skills]. 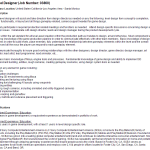 I’ve [attached/submitted] my resume and you can find more of my work at [portfolio website]. Feel free to contact me with any questions. Now, this hypothetical cover letter is awkwardly worded if you were to just fill in the blanks and send it in, so I don’t recommend that. Instead I think it’s very useful for a rough draft. Lets take apart each section. Use a person’s name if you have one – maybe from a business card, from a career expo or networking event, or from browsing Linkedin. If you don’t have a name, I would go ahead and use “Dear Hiring Manager” or “To Whom It May Concern”. Those always feel old-fashioned, but I haven’t found a better alternative. Don’t overthink this. Definitely don’t misspell someone’s name or address the letter to the wrong person. This should be one of the first things you write. It tells the reader why you are writing them so they can immediately pull up the job listing, or pass the cover letter on to the person handling that position, or even to just put your email in context. You really only need a single sentence to get this across. 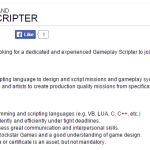 You should know the job title you’re applying for at that company – you get this from the job posting. If you have to, I would use Linkedin to find the proper title. 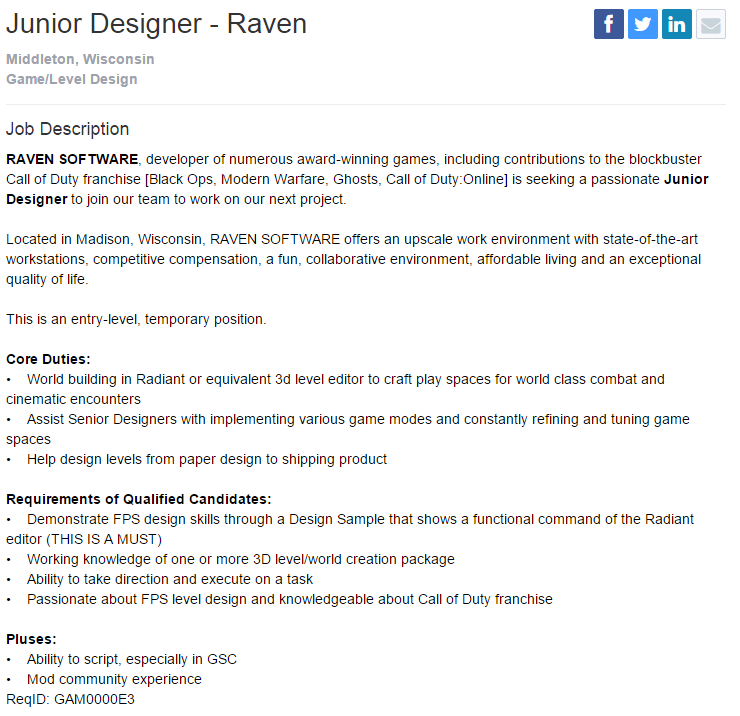 If you are applying without any open positions advertised, you could write something like, “I am applying for a position in the design department at [studio].” I would not apply to more than one position at once, except at a large publisher that usually fields applications for multiple studios. Sometimes it’s good to also mention location – large publishers have many studios, so it’s important to name the specific studio and not just the parent company (Sony vs. Sony Santa Monica). 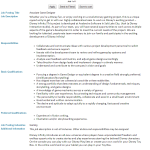 Most of the time you’ll be sending your resume and cover letter to that specific branch, but if you are applying to an international job – where you, for example, live in the US and are applying to a job in France – it’s might be good to be clear about your willingness to relocate and so they don’t think you’re applying without realizing the distance involved. I fill this out by going to the job posting and writing down all the key words. Most postings are great about detailing them out with bullet points and letting you know which details are necessary skills and which are supplemental skills that are nice to have. 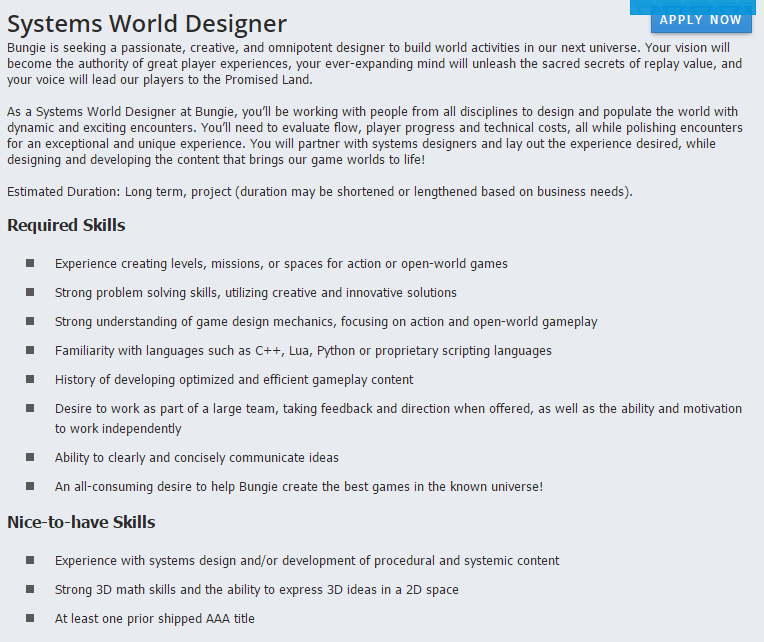 I would mention as many of those necessary skills as possible here. If the job is looking for a C++ programmer with experience in networking and mobile development, this is where you;d say, “I have extensive experience with C++ in networking and mobile development.” Of course, only do that if it’s true! 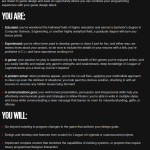 Wherever possible, I would give specific examples – such as shipped games you’ve worked on, certifications, or degrees. Just make sure that it’s relevant to the specific job you are applying for. This is the section where I get a bit more free form. This is where I show how my interests and the studio’s interests align. Think of it as your way to show them that you are valuable specifically to them by telling them what YOU can bring to the table. This is also where you could lay down a little flattery. Not a ton, mind you – no one wants to hire a rabid fan. But it’s nice to let the studio know that you are applying to THEM because THEY are your ideal place of employment (rather than just one studio on a list of 50 that you are writing cover letters for…). 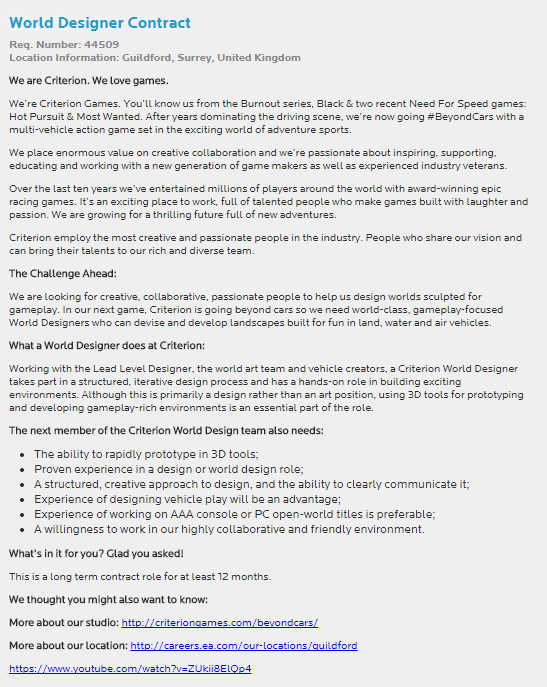 But I would rather you be honest about your interests than lie, so if you’re applying to a company that only makes sports games and you don’t like sports? Don’t lie about that. I would just neglect to mention it (though, I probably would opt out of applying in that case). 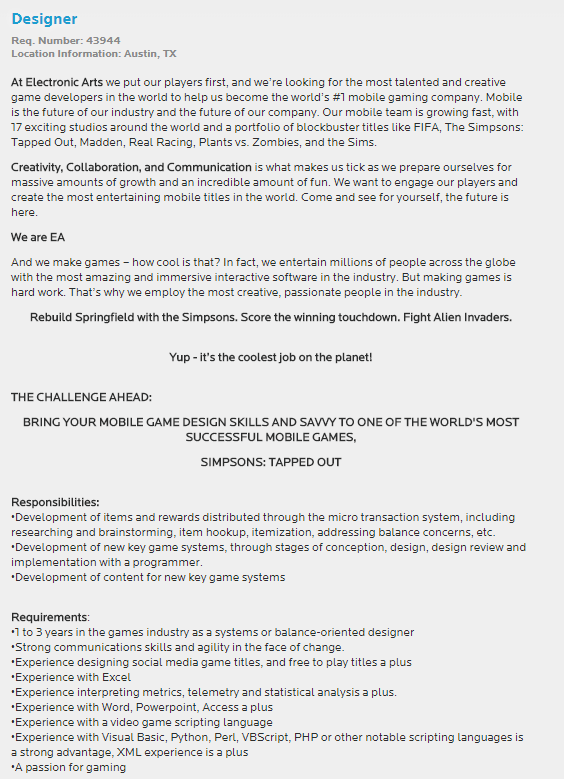 If the studio focuses on narrative games and that is why you are applying, say that, and show them you experience in this subject. 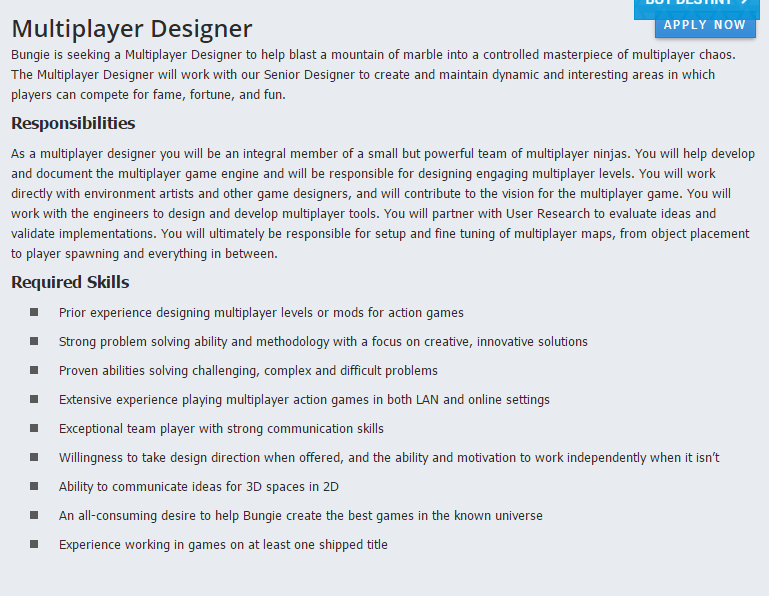 If the studio focuses on multiplayer games, hype up your experience in multiplayer level or system design. If it creates free-to-play iOS games, talk about that. 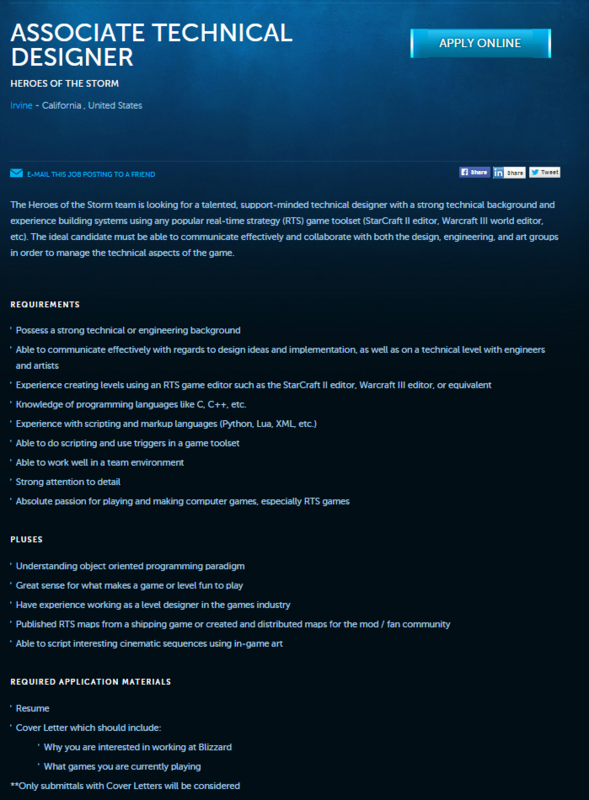 I would make it clear that your passion and goals as a developer is an ideal match with the direction of that studio. 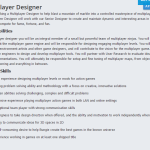 Fro example, While above in qualifications you may have written, “I have level design experience in the Source engine,” here is where you can expand to say something like, “I’ve created several multiplayer maps for Team Fortress 2, focusing on asynchronous competitive gameplay. 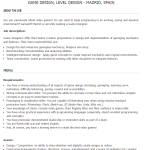 I would love to bring that knowledge over and continue developing similar experiences on Evolve.” Here, I am showing that I understand the nature of the position, have knowledge about (and admiration for) the types games the studio makes, and show that this position is part of my career goals (and not just a last-ditch desperate attempt to land a job!). Whenever I’ve written cover letters, this is the section that ends up being the longest. This is called a “call to action” in creative writing. Once someone has your cover letter in hand and has read it to the end, tell them what to do next. This leads people to find out more information – your resume, your portfolio, your projects. Make it inviting for them to respond – but don’t beg! This is simple. Don’t overthink it. You can go ahead and use exactly what I just wrote up there, or whatever your favorite variation is. I don’t think you should sign off with, “Love,” but you get the idea. Many of the cover letters I see and proofread for friends or others who ask the favor seem to suffer from a few main problems. I wrote them down and canvassed a few other people who have experience looking at cover letters to get an idea of what the common mistakes are. There are probably more than the ones I listed, and some of them may not be too big of a deal with some people. Too short – This is rare, but I have seen it. Usually it means either you don’t have enough experience (so you have nothing to talk about), or you just don’t know how to market your skills. Too long – much, much too common. Do you remember what I said about 350 words? If it’s long, I hope there’s a reason. Not being specific – this reads as a generic letter that could be sent to any company, and makes me think you don’t care about this specific position. You wouldn’t (shouldn’t!) do this on a dating website, so don’t do it here. Being too specific – reads like an FBI brief! Not talking enough about your qualifications – says you don’t value yourself and what you have to offer. Like I mentioned before, think of the cover letter as an opportunity to market yourself. Talking entirely about yourself non-stop – This makes me think that while you value yourself, you don’t actually know much about the company. Again, think about how you can help them and try making that part of the cover letter. Applying for more than one job – I recommend making one cover letter for multiple open positions because to me it implies you are either unfocused or desperate for a job. I am sure there’s exceptions but I’ve never seen a justification for it. Applying for a job you are clearly unqualified for – This tells me you don’t follow instructions. 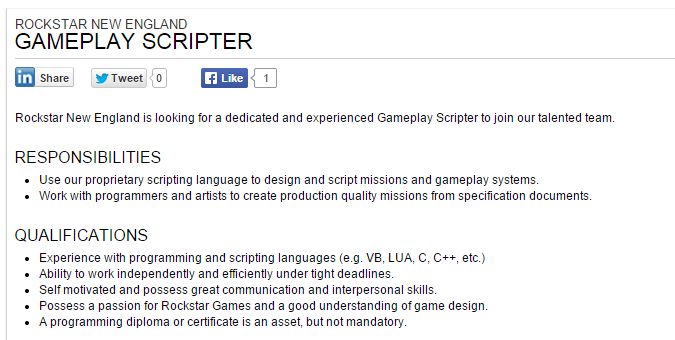 Unqualified really means you are a junior level person and apply to a lead position, or you are an artist applying to a programming job. There’s a balancing act here between imposter syndrome and the Dunning-Kruger effect that only you can answer. Applying for a job you’re qualified for, but not communicating this – Try looking at that job posting and make a Venn diagram of “what you know” and “what they want”. I would put any items that overlap into your cover letter. Talking about your passion for games, how young you were when you started gaming, how much you like games, etc.I think some people appreciate this, but I (and others I talked to) have seen whole paragraphs dedicated to this. Loving games isn’t really a relevant qualification for making games – it’s a given. Being jokey, tongue-in-cheek, self-deprecating, or writing a “unique” letter. It can be hard to get jokes across in such a short letter, and harder to entertain an unknown stranger whose tastes you don’t know. Fawning over the studio like a fan rather than a peer – Making games is a job – it’s work, and sometimes it’s hard, frustrating, and imperfect. Hero worship for a creative director, or being the world’s biggest fan of a game, sets off a red flag for me that you may not be objective and critical of your work or your peer’s work. If you want to mention it, its a fine line to walk – but I do know a lot of people who were fans of a studio’s games before they started working at that studio. That’s it. That’s all my advice – and obviously it’s advice and not a formula for success. Cover letters are stressful because every single one is unique and there aren’t a lot of examples out there. Once I started treating cover letters like technical documentation, it became a lot easier. Since every cover letter is context sensitive, I recommend finding at least one buddy who will help proofread for you – not just to catch spelling errors, but also to gut check whether your cover letter and the job description seem like a good match. Remember to keep it simple, keep it short, and keep it to specific and relevant information.